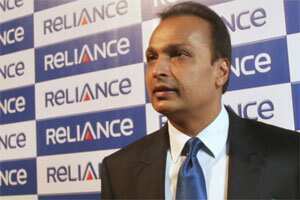 Mumbai: Reliance MediaWorks Ltd (RML), the film exhibition and media services arm of the Anil Ambani-led Reliance Group, has decided to restructure the company into two business segments—film exhibition and film and media services—to allow a strategic investor to invest in a business of choice. “This structuring will be undertaken to better position the company’s businesses to pursue strategic growth opportunities in its specific areas." The company had seen “phenomenal growth" in the past five years and the restructuring would allow each business to pursue best opportunities independently, chief executive Anil Arjun said in the statement. Mint had reported on 31 March that RML was seeking a strategic investor for its media services business, and might spin off the segment into a separate unit, which can then sell a stake. The company’s film exhibition business comprises of a chain of cinema halls it operates in India and abroad under the Big Cinemas brand. Its film and media services division offers production facilities such as lease of studio and film equipment and digital post-production facilities. Ashish Pherwani, associate director, media and entertainment at Ernst and Young Pvt. Ltd said the restructuring was a positive step. “Companies introduce subsidiaries in order to raise funds. It helps expansion in the future," Pherwani said. “It’s easier to form joint ventures or hive off a business when it’s a subsidiary. Also, it helps lower high overhead costs." RML announced its earnings for the September quarter on Thursday. It reported a loss of ₹ 123.7 crore in the three months ended 30 September from a profit of ₹ 44.7 crore a year earlier. The loss was on account of “investment and stabilisation of business verticals, resulting in increased interest and depreciation charge," it said in a separate statement announcing its earnings. Total operating income was ₹ 234.60 crore, 4.7% lower from a year earlier. The income was, however, around 21% higher than the preceding quarter, the company said. Another Reliance Group media arm to report its September quarter earnings on Thursday was Reliance Broadcast Network Ltd (RBNL). RBNL saw its loss widen to ₹ 24.45 crore year-on-year from ₹ 14.38 crore. The higher losses were on account of higher expenditure incurred on account of the company’s fledgling television business, chief executive Tarun Katial said, though the company’s main radio business remained profitable. Total operating income increased 30% to ₹ 74.81 crore in the quarter. The government’s move to roll out the third phase of radio expansion and digitise television services across households will lead to “incremental growth" for the company’s businesses, Katial said.